The History Place - Cleopatra Slide Show: Papyrus "Make It Happen!" 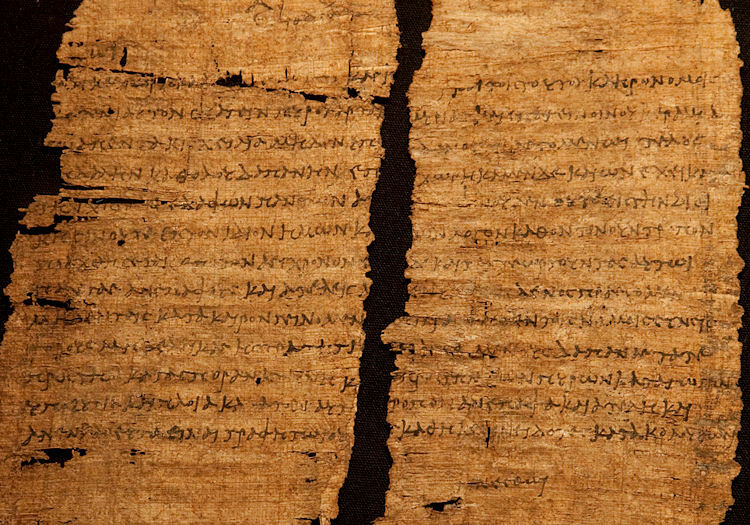 This papyrus document, signed by Cleopatra, grants tax exemption from sales of imported wine to the Roman businessman Publius Canidius, a friend of Mark Antony. The manuscript, intended for an official in the Egyptian bureaucracy, was prepared by a court scribe. At the bottom of the document, in a rare example of her handwriting, Cleopatra herself added the Greek word "ginesthoi," "make it happen."